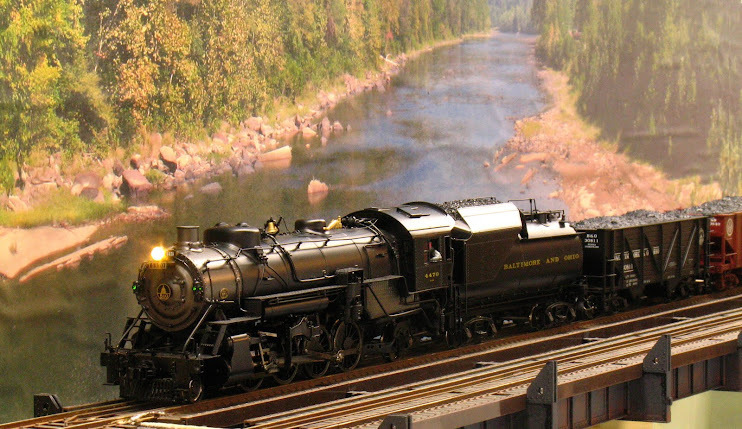 2-Rail O Scale Railroading: Finally! After several false starts going back to August, my latest 3D printed models have finally arrived. Chief among them is the PRR "K" braced, two-track catenary pole. O scale, of course. It's a beauty even though I had to make the cross section of all of the beams thicker than the published minimums to get it past Shapeways' (the 3D printer) screening software. I had this initial unit printed in what Shapeways calls "White, Strong and Flexible" (selective laser sintered nylon) for two reasons, the machine that produces these has a large enough capacity to handle this model and this material is one of their cheaper materials. The resulting pole is very flexible and practically indestructible; but would not be suitable for hanging tensioned wire because of the flexibility. It's OK for scenery purposes. It appears that Alumide (an aluminum filled polymer) or ABS will be the better material for these. ABS should be strong and rigid enough to hang tensioned wire. The next step will be to reduce the cross section to the minimum that the process will accept, add additional rivet detail and test print in Alumide and ABS. Thereafter these will be available for order direct from Shapeways and/or iMaterialize. After that more styles of these poles will be designed and made available; including multi-part designs that can reach heights approximating some of the prototypes which could be quite high. Also in this order from Shapeways are the regular power tower insulators. 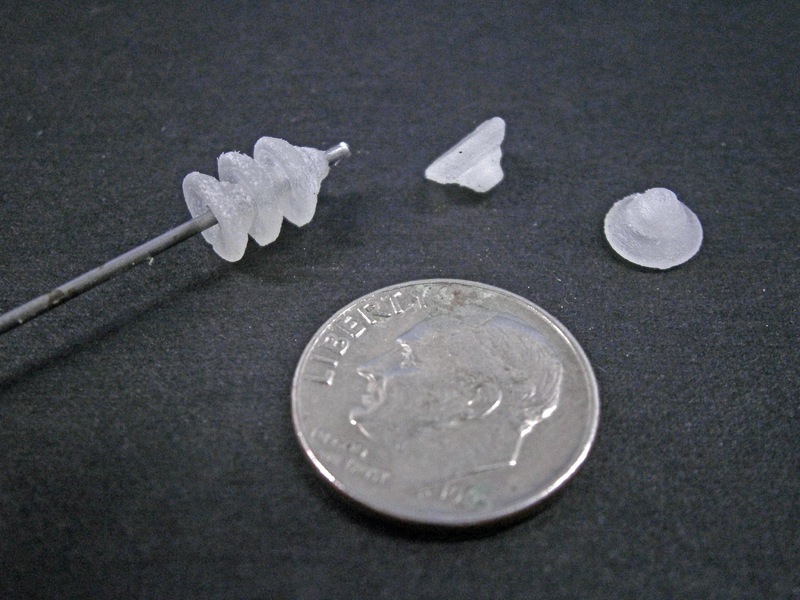 These tiny parts showcase the potential of 3D printing at the small end of the size spectrum. 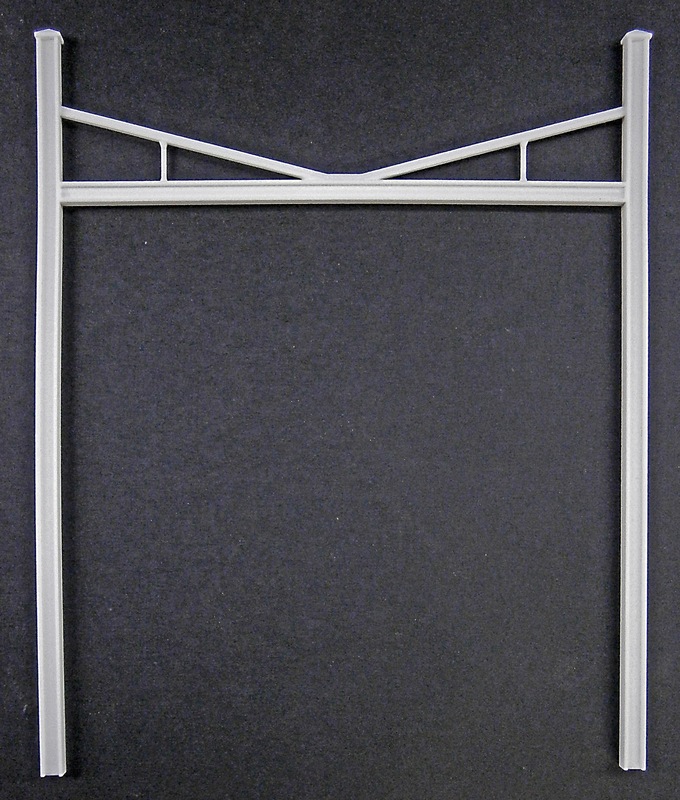 These are too small to make by hand with the proper cross section and it's unlikely that the market in O scale is large enough for someone to invest into a set of injection molding dies to produce these. The photo above shows two individual insulators plus three on a 0.039 inch wire placed through the central hole in each one. These will come as, probably, 100-200 on a sprue and will also be available direct from Shapeways and/or iMaterialize. 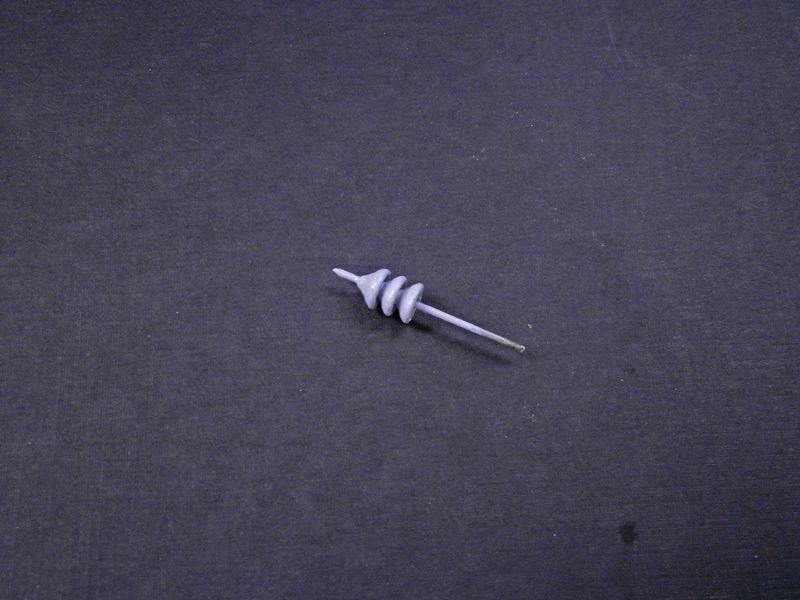 Here's a picture of three insulators on the 0.039 wire, painted with primer. Before painting, with the insulators on the wire, I spun the wire in a drill while I touched the insulators lightly with fine sandpaper (400-800 grit) to clean up any irregularities left from the 3D printing process. As I move into producing these and other models I have to say a word about pirating the designs. Someone could buy some of these and then use them as masters to make a silicone rubber mold and cast these in resin. Please do not do that. I have scores of hours into researching and designing and spent more dollars in test printing these models to get them right. If these are widely pirated, there will be no incentive to design and debug any more models. Very nice work Terry. I am in the planning stages of a similar catenary system but I am using Plastruct products. For insulators I will be using saucer beads. How do you plan on anchoring the uprights to the ground?